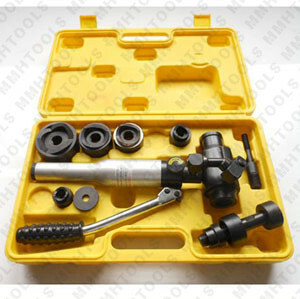 SYK-15 hydraulic punch driver tool is one of the most popular hole punching tool for hole making in metal, stainless steel and plastic. 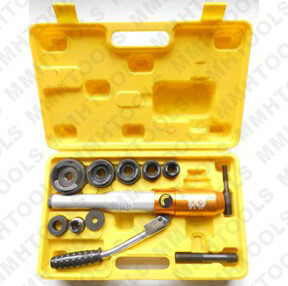 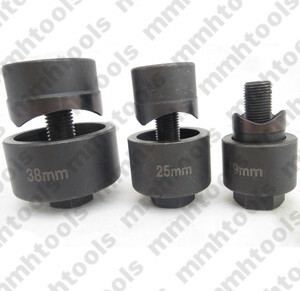 It is the same tool kit with model SKP-15 hydraulic punch driver. 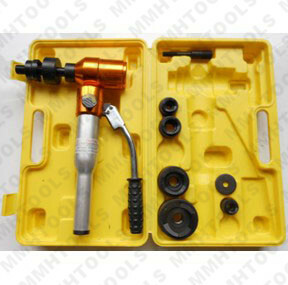 Other hydraulic hole digger SYK-8, SYK-8A, SYK-8B are with a smaller working force and working range. 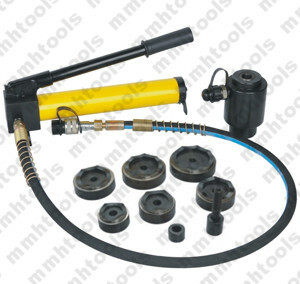 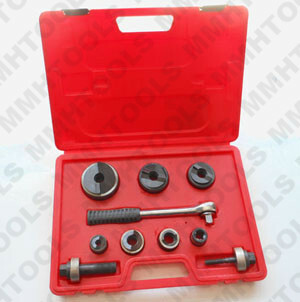 The complete kit included:Hydraulic hand punch pump, oil hose, ram, quick couplings, standard knockout hole punches, shaft/stud bolt, spare sealing O-rings set, metal case packed. 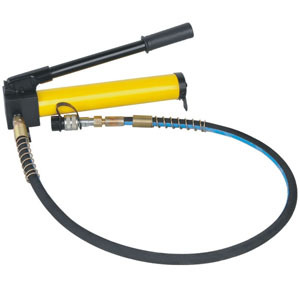 15Ton hydraulic pressure force, hole making so easy. 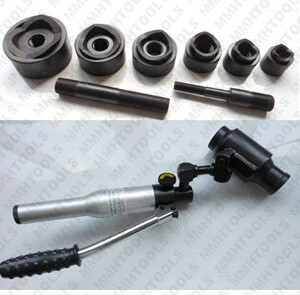 For details information, please refer to our latest products catalog. 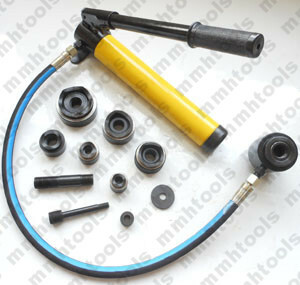 For business inquiry, please call us or send email to us. 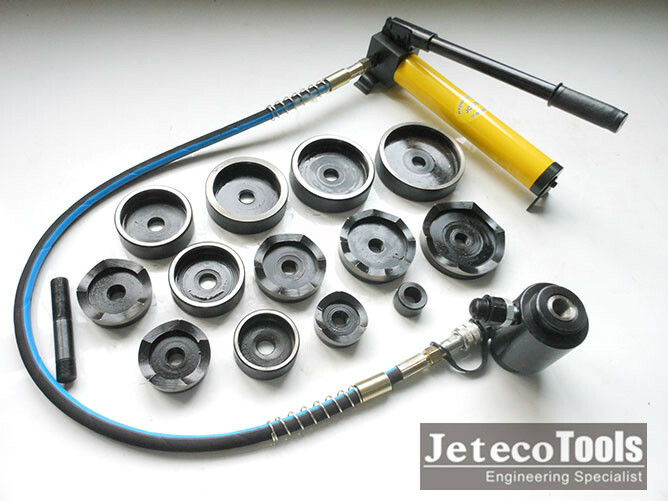 For your located distributor contact information, please get on contact with our sales.